I arrived early to High Plains Raceway, a racetrack about an hour’s drive from Denver. It was going to be a long day and I was clinging tightly to my hot tea as I wandered about the paddock in the chilly air, looking for someone to point me in the right direction. I was there to compete in an annual celebrity race, an event held across the last few years to raise money for the Morgan Adam’s Foundation, an organization that funds childhood cancer research. A random drawing decided who would drive which of 10 “race” cars. The car roster was comprised five bone-stock—except for the change to DOT 4 brake fluid—base BMW 3 and 4 Series models and five Mini Cooper S’s. 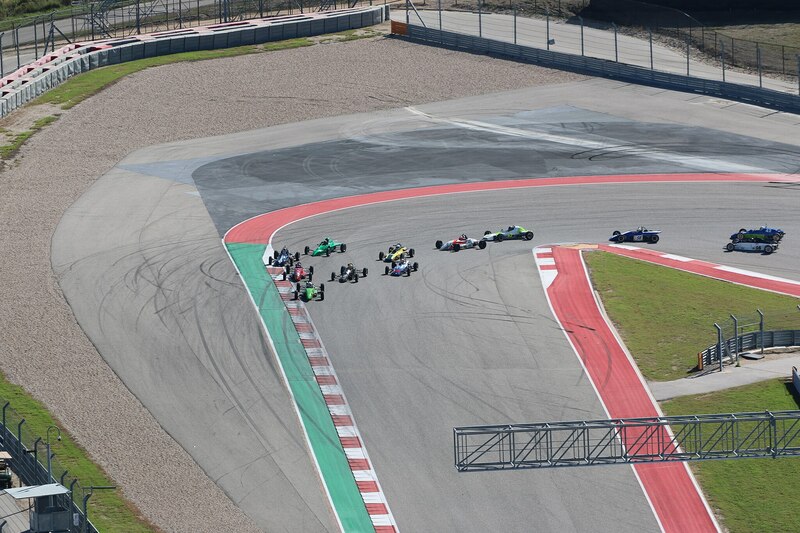 Ten pro drivers would team with 10 amateur club and vintage drivers for the 45-minute enduro race, with one mandatory driver change. The non-pros had generously donated money to the foundation to have the dubious honor of co-driving with one of us professionals. “No, Charlie’s actually a Supreme Court Justice in New Mexico,” came the reply. It was a really good day; I managed to catch up with some of the other pro drivers I knew, including Jeff Altenburg and Robb Holland. Charlie and I slid our way to a second-place finish, and arranged to meet for dinner with his crew guys and Robby Unser. Robby, a well-known member of the legendary Unser racing family, is also from New Mexico and happens to be a friend of Charlie’s. I was looking forward to spending some time chatting with Charlie after our hectic day. The moment I sat down, Charlie asked me whether I like music. It’s not a hard question, but I already had mentally cataloged several things to ask Charlie about his very interesting life. This was nowhere close to the mix; the question threw me into “tilt” mode just for a second. I think I probably looked at Charlie as if he had just asked me if I eat tree bark. After my synaptic shut down, we established I did actually like music. Charlie immediately gave me a copy of his band’s—The Incredible Woodpeckers—new album called “Woodpecker Boogie.” Talk about a well-rounded fellow. 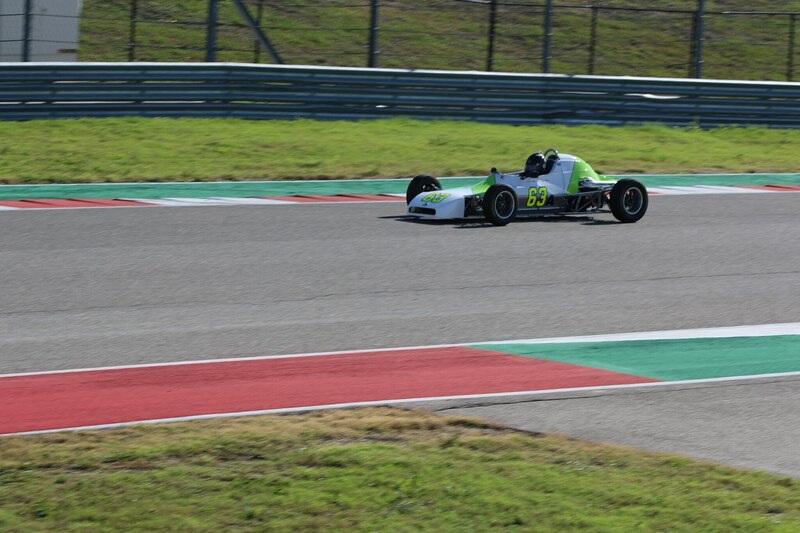 Later, as we headed to our separate hotels, Charlie asked if I liked Formula Fords. “Sat in a couple back in the ’80s, but I’ve never raced one,” I said. He replied, “Would you like to?” Within hours, Charlie had sent me the dates for his next few vintage Formula Ford events, as he owns five Crosslés. 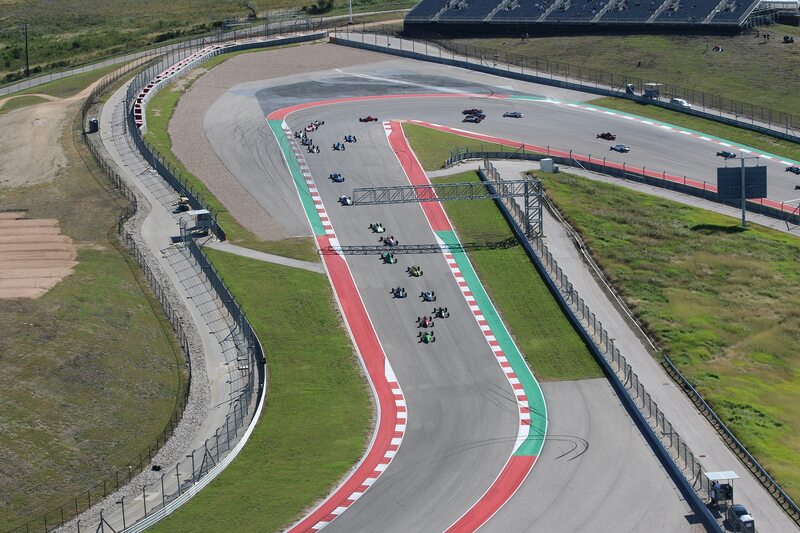 Skip ahead a few weeks to the Circuit of the Americas circuit near Austin, Texas. 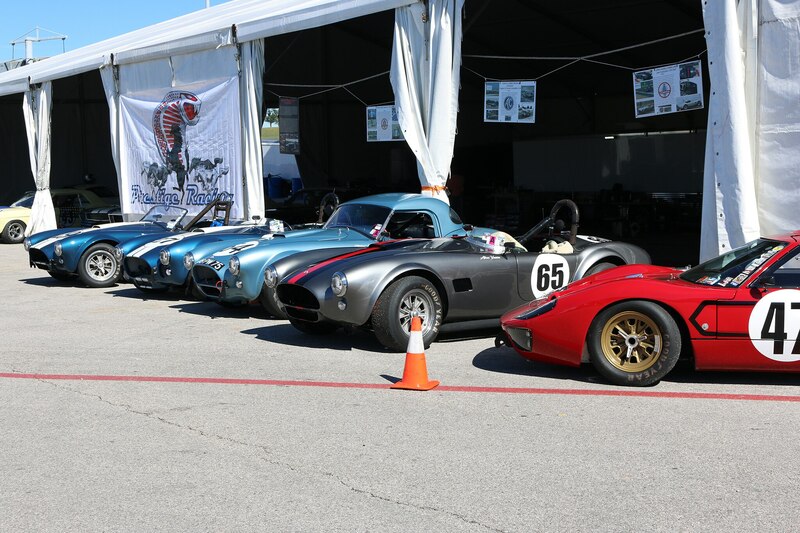 It was the week of the Sportscar Vintage Racing Association’s (SVRA) National Championships, and only one week after the Formula 1 race at COTA. Charlie had snagged us garage No. 8, the same space Sebastian Vettel and Ferrari occupied just a few days earlier. 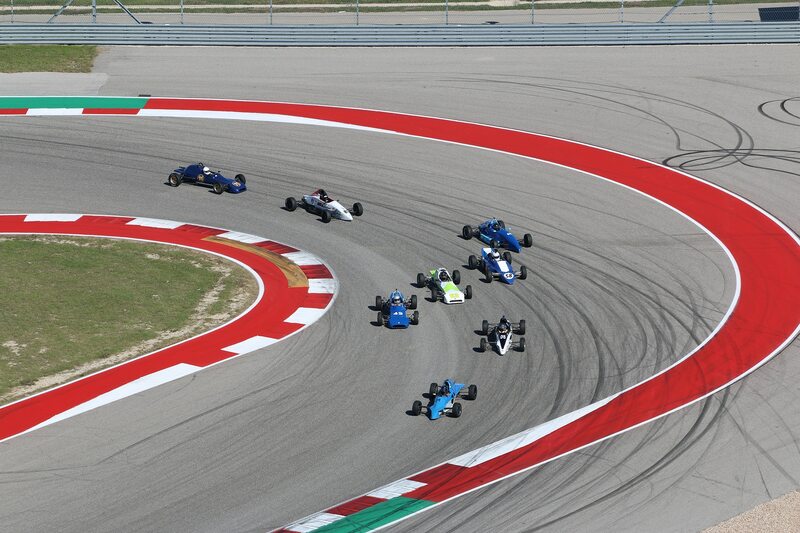 I did not realize how massive the SVRA Nationals were until I got there. 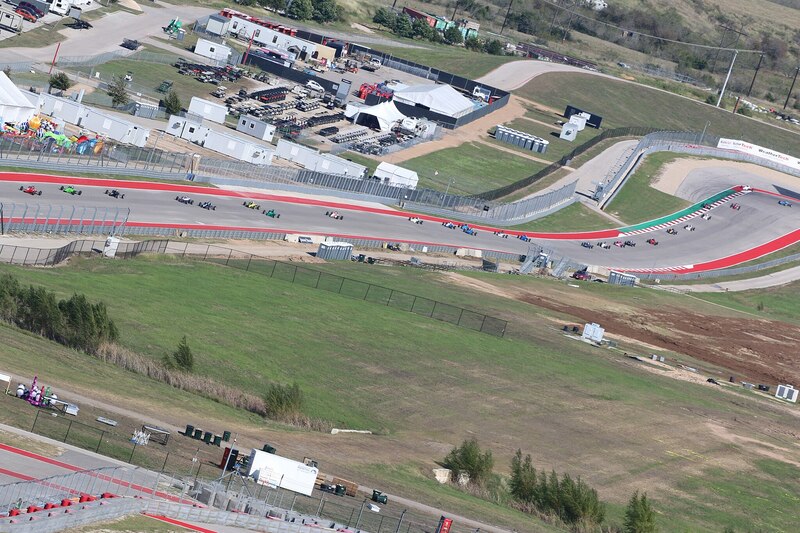 There were 461 drivers entered in all categories, including about 15 in vintage motorcycles—impressive numbers and a very cool idea to include bikes, I thought. 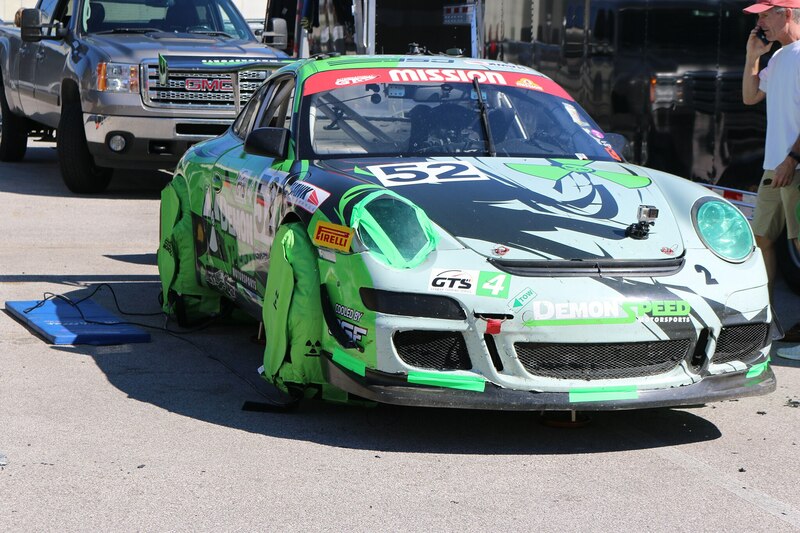 Meanwhile, the second to last Trans Am Series race of the year was also going on, as was the final round of the International GT Championship. So it was a pretty full dance card for the organizers. There are a plethora of classes running in SVRA, meaning there’s something for everyone, essentially. 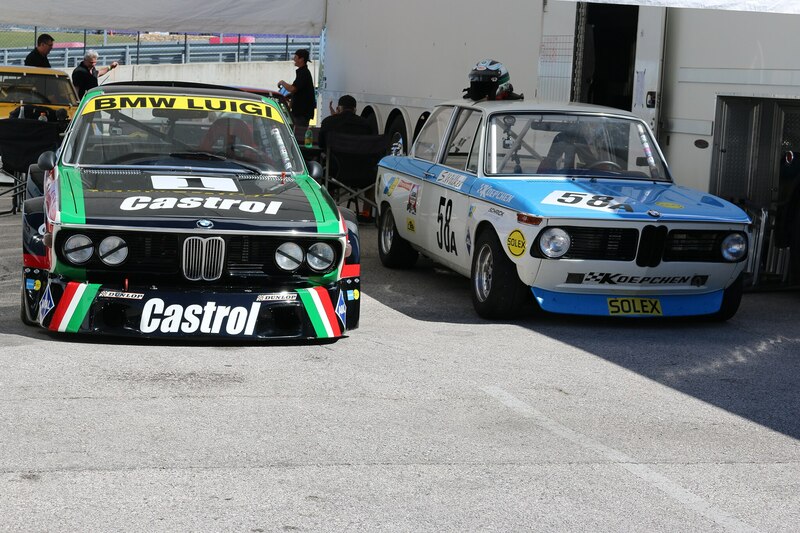 Modern GT cars, surprisingly new F1 cars, Indy cars, all manner of GT cars starting from the late ’60s through to today, plus those lovely historic racing motorcycles. If you couldn’t find something with wheels you liked at this event, you should probably try your hand at boating. I enjoyed looking through the race program, where I recognized a few old teammates and competitors like John Heinricy, Geoff Brabham, Stuart Crow, Joe Varde, Mark Sandridge, and others. 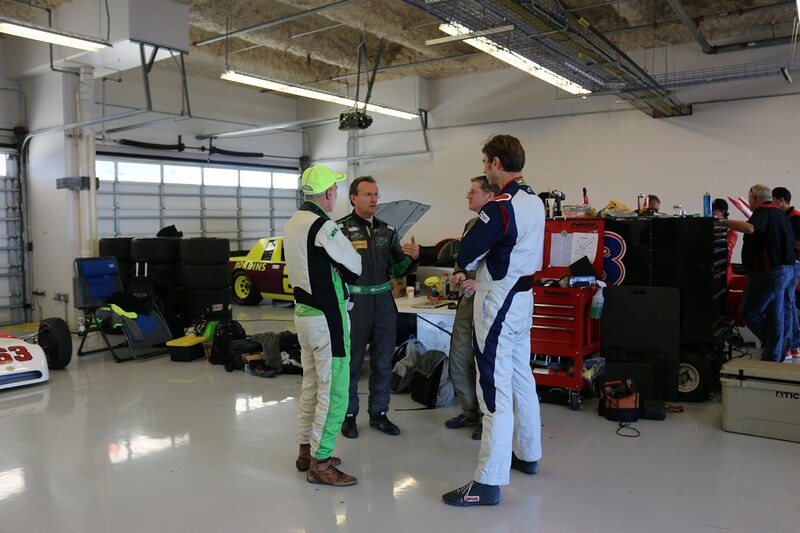 I also saw pro drivers like Andrew Davis and Ed Zabinski hanging around COTA; they were there specifically to coach the owner/drivers of these sometimes-priceless vehicles. It was clear immediately that SVRA has moved in a very professional direction since I did a few SVRA races back in the late ’80s. One thing that doesn’t seem to have changed is the friendly atmosphere, from the race crews and competitors to the well-oiled race organization. Signing in was a total pleasure and really quick despite loads of people in line. SVRA was founded in the late ’70s by Ford Heacock III. 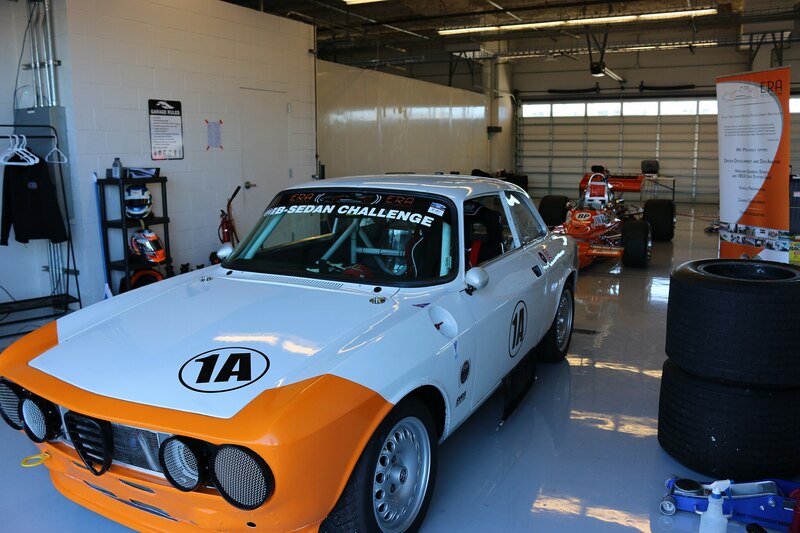 There had been an SCCA vintage championship for cars up to circa 1959, but Heacock saw the need to create a place where owners of 1960–1972 cars could race, and SVRA was born. 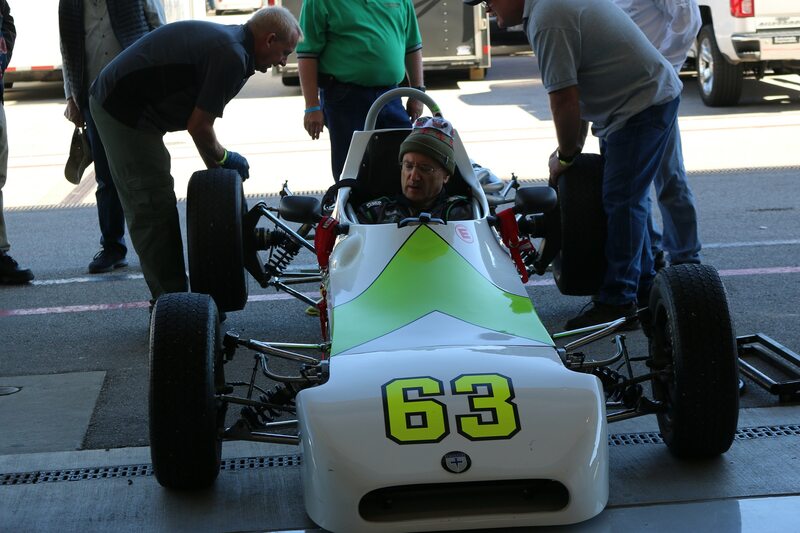 Tony Parella is SVRA’s president and CEO; he raced on dirt ovals back in the day, until family took him along a different road. He found tremendous success in the telecommunications industry, and he acquired SVRA back in 2012 after seeing some serious business potential. Being around Charlie’s race team felt like family. 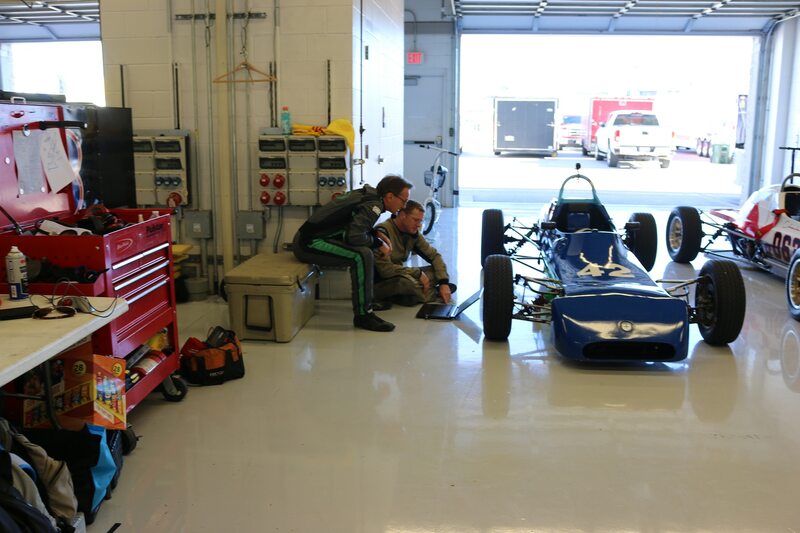 His crew chief and head mechanic, Steve DeBerry, has been looking after Charlie’s race cars for 15 years. Steve seems to have two full time careers, one in facilities management, the other looking after Charlie’s cars in his Albuquerque race shop. Steve’s daughter Becky was also on hand as a mechanic and team photographer. The numerous other family members and friends on the scene only added to a wonderful atmosphere. It was really enjoyable to speak with many other drivers over the weekend. 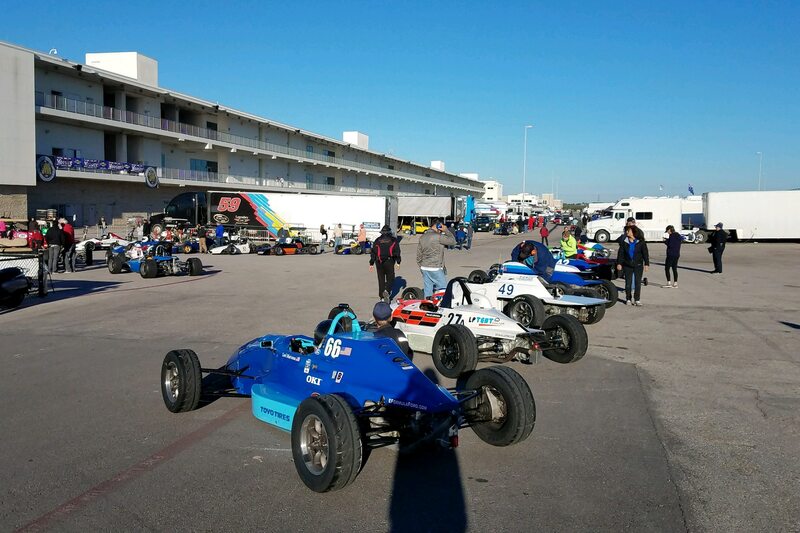 Many of them own businesses, love to race, and see SVRA as a place they can find great racing without worrying as much about the fierce competitiveness found in many other types of club, national, and pro racing series. 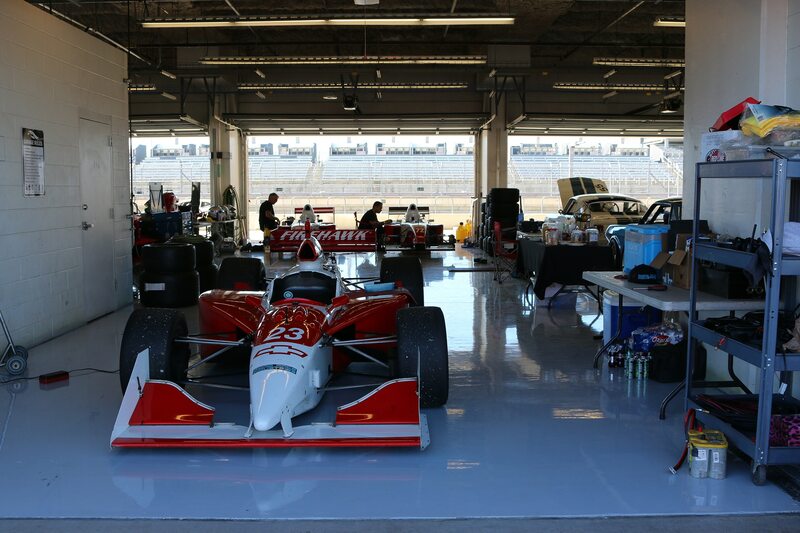 The minimal amount of on-track contact all weekend speaks to that point. We had a couple of other drivers on the team, guys with serious day jobs who epitomize SVRA competitors: people with important roles away from the track but who love to race when they can. Sean Hearne owns his 1980 Crosslé. Steve DeBerry does the prep work and brings it to the track with Charlie’s cars. Sean holds a PhD in physics and will soon move from Albuquerque to Knoxville, Tennessee, as director of the Center for Nanophase Materials Sciences at Oak Ridge National Lab. We’re talking a center where scientists from all over the world rent time to do research, a place where physicists race in a demolition derby using subatomic particles. 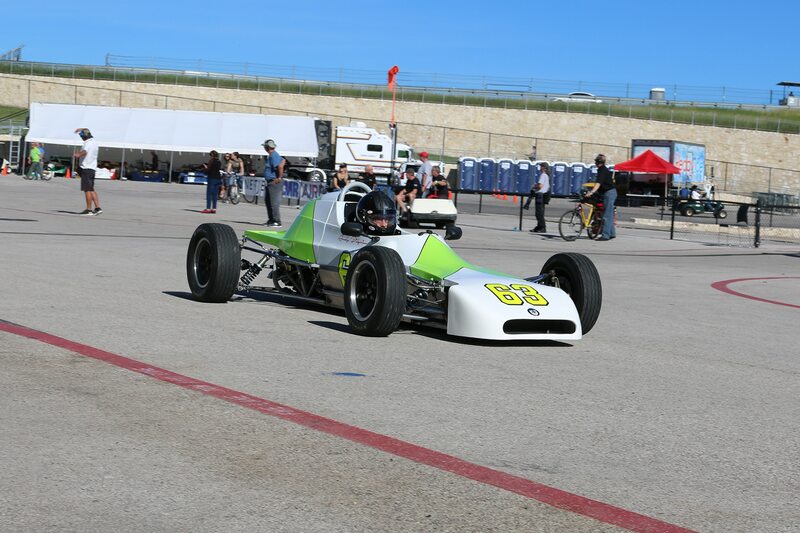 Sean started in racing schools several years ago, progressing to SCCA in a Miata and also runs really well in the highly competitive SVRA vintage Formula Ford class. The fourth teammate was Luke Baumgartel. Luke also has a PhD in physics, and hails from Portland. He works for Intel, leading a group working on next-generation microchips. So, he basically can’t talk about anything he does. He is new to car racing and also happens to be married to Charlie’s stepdaughter. Did I mention this team is like a big family? As for Charlie, his on-track exploits started when his wife bought him a three-day Bob Bondurant school at Sears Point for his 50th birthday back in the ’80s. But track driving in New Mexico pretty much means dirt ovals, which Charlie did really well while winning local championships along the way. He has raced NASCAR Late Models, Super Trucks, and Modifieds. 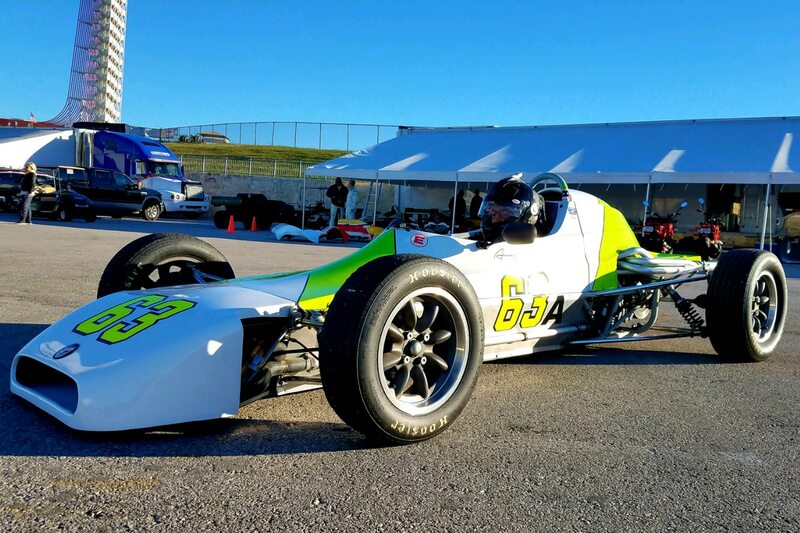 He moved to road racing about seven years ago, choosing vintage Formula Fords after remembering how much he enjoyed them while at the Bondurant school years before. My on-track time in the 1973 Crosslé was cut short quite a lot throughout the weekend with a persistent gearbox gremlin. There was really no time for Steve to cure the problem effectively, so I worked with it. It’s a fact of life when running these old cars: stuff happens. All of us lost sessions with various niggly issues, but attitudes remained positive, and mechanical stuff is all part of racing, anyway. The specific gearbox issue involved first and second gears being locked out much of the time I would try to downshift or upshift. In other words, I was only able to use third or fourth much of the time. I really needed those first two gears for four or five times per lap, so this was a bit of a problem. Passing someone, then ending up in neutral is a good way to get thumped in the rear, so I was following folks a lot and watching my mirrors. 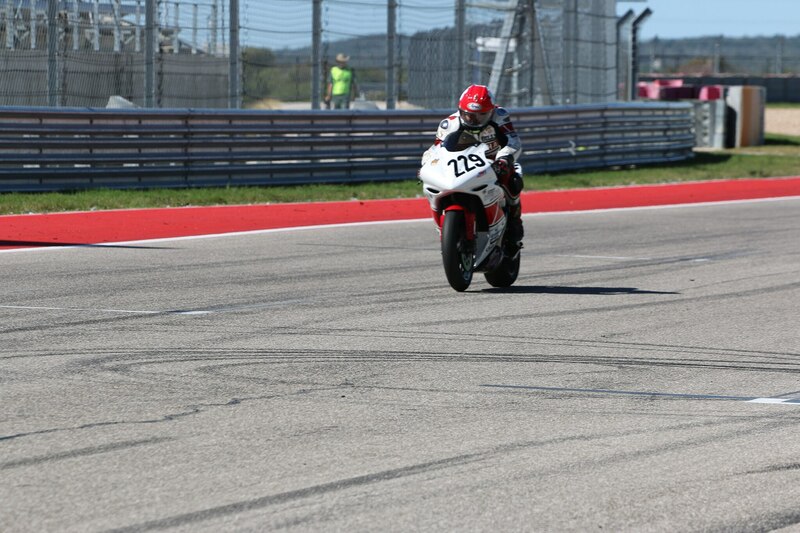 Despite this, by the end of the weekend I had sort of perfected a way to get around the problem as best I could, and I ran some lap times up with the sharp end of the class. The third- and fourth-gear corners were an absolute blast—talk about sliding! The drifting around at all speeds in these cars is addictive, and actually very necessary for a quick time. I was easily able to rotate the car on corner entries by manipulating the steering wheel while left-foot braking, which massively helped the front tires, avoiding undue understeer. 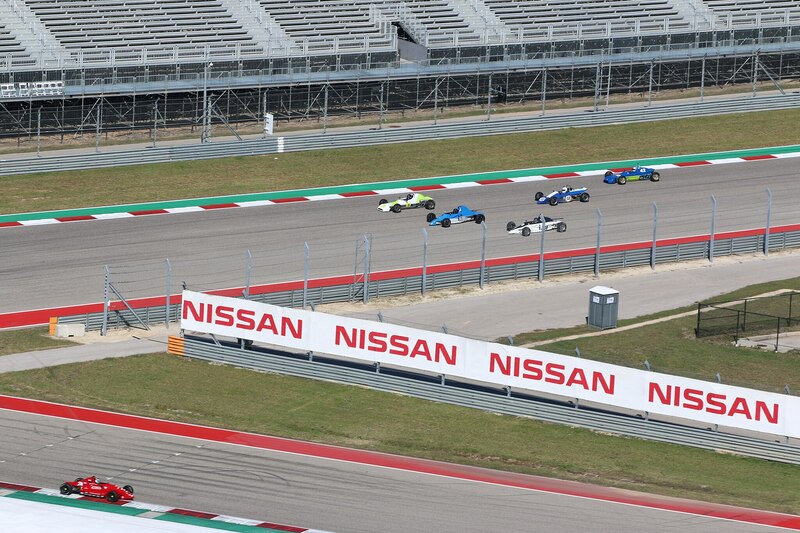 The controllability of these cars while cornering and drifting at triple-digit speeds really impressed me. 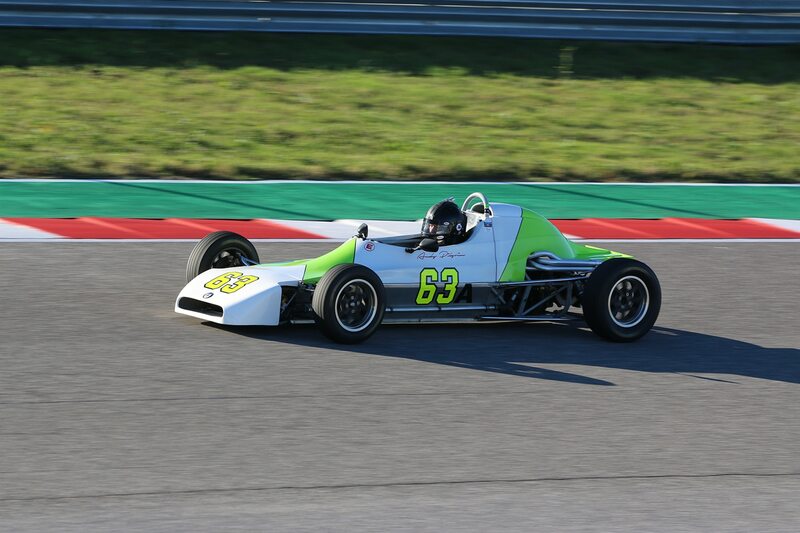 I started racing cars at 27 years old, very late for someone who has been paid to drive race cars for the last 30 years. 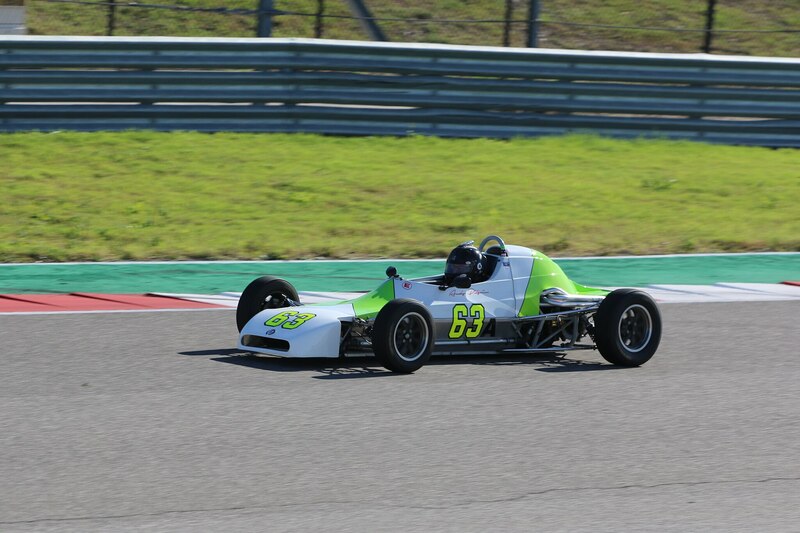 As I stood looking at my little Formula Ford in the garage, something struck me: A 1973 Crosslé Formula Ford would have been the exact entry-level race car I may have driven as teenager, if I had been lucky enough to have the opportunity. What a great way to spend a weekend. Thanks so much to Charlie, Steve, and the whole team. Thanks also to SVRA for making me feel so welcome and for putting on such a superb event. I very much look forward to the next time.